Dallas ADA Vehicle Transportation will help with all your Non Medical Transportation needs. 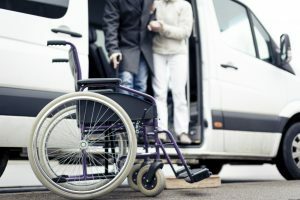 We offer all types of vehicles for ADA, Senior and Handicap Transportation. Whether your looking for a vehicle to take you to service, an appointment, family, airport, weddings or any other special occasion, we can get you there. Don't feel limited by what you can do or where you can go. Ask about any of our ADA Vehicles, ADA Sedans or ADA Limos for that next Milestone Anniversary or special celebration in Dallas. We understand things can be difficult at times, so let us help make things easier for your funeral or memorial services with any of our ADA vehicles. Everyone should be able to see how beautiful Dallas is. Ask about our ADA vehicles for a special outing and Dallas Tours. Just because someone has a disability doesn't mean then can't join in on the fun. ADA Vans and Handicap Buses available so everyone can enjoy the day on your next Dallas Wine Tasting Tour. We can help get all your loved ones and family members with assistance to your special Wedding Day. Ask about our ADA Vans, ADA Sprinter Vans and ADA Shuttles for Wedding Transportation.